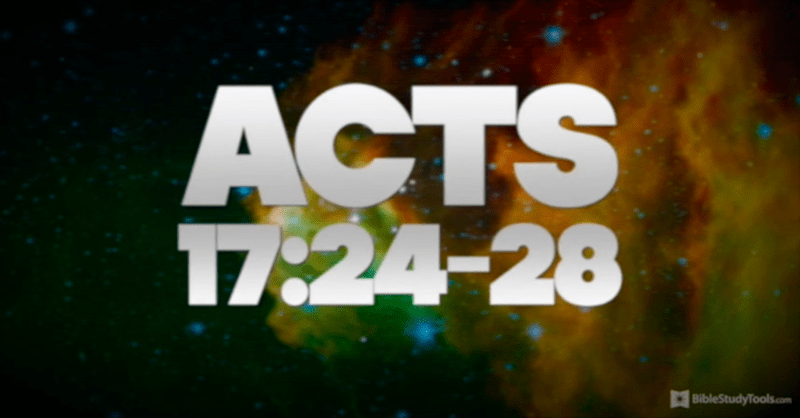 In HIM We Live and Move - Acts 17 COMES ALIVE! There's nothing like stunning images of our vastly vivid universe to put into perspective "the God who made the world and all things in it"! This video featuring Acts 24, verses 24 through 28 really made me stop and revel in the complexity and awesomeness of my relationship with the Creator.